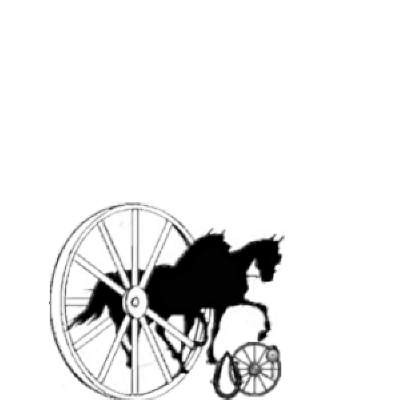 Our Company **Pony and Carriage Ltd** take great pride in its worldwide reputation of giving outstanding customer services, and the sale of quality items to the Carriage Driving Community. 1.1 All orders are accepted subject to the provisions of these Conditions of Sale and the Trading terms set out in the Catalogue supplied by Pony and Carriage Ltd. No employee may vary these terms. 1.2 The Catalogue does not constitute an offer to sell and Pony and Carriage Ltd reserves the right to refuse or decline to accept any order. 1.3 The delivery by Pony and Carriage Ltd of an order constitutes acceptance by the customer of these Conditions of Sale and the Trading terms of Pony and Carriage Ltd.
1.4 Orders are accepted subject to availability at the time of dispatch and acceptance of the order does not constitute guarantee of delivery. 1.5 If any part of these Conditions is held to be un- reasonable, invalid or unlawful at law, the Court or other competent tribunal shall have the power to strike out or override that part whether it be entire condition or conditions or parts thereof and to enforce these Conditions as if the unreasonable invalid or unlawful part or parts thereof aforesaid had not been included. 1.6 The price of the goods is based on the sale under these conditions. The goods could not be offered at this price if more onerous liabilities were accepted. Pony and Carriage Ltd reserves the right to deliver the goods by split deliveries, in which event each delivery shall be deemed to constitute a separate contract. No failure by Pony and Carriage Ltd in respect of any one or more split deliveries shall vitiate the contract or contracts in respect of previous deliveries. 3.0 NON PAYMENT Pony and Carriage Ltd reserves the right to withhold deliveries until any outstanding payments under any other contract between Pony and Carriage Ltd and the customer have been received. Also overdue accounts will incur a monthly 2% interest charge. 3.1 Where an account remains unpaid beyond our terms of trading it may be referred to a third party for collection. An additional charge of 20% of the outstanding balance, or £20, whichever is the greater, will be applied in all such cases, this charge will be in addition to contractual interest which applies to overdue accounts. 4.1 Risk in the goods shall pass to the customer when the goods are delivered, or collected by, the customer or its agents. 4.1 hereof the title of the goods shall remain with the Pony and Carriage Ltd until payment for the same is received in full in accordance with out trading terms. 5.1 Any complaint of non-delivery must be made to Pony and Carriage Ltd within 4 days on notification of dispatch having been sent by Pony and Carriage Ltd to the customer. 5.2 Any complaint that any goods delivered are not of the correct quantity or description or have been delivered in a damaged state shall be notified to Pony and Carriage Ltd by telephone of fax within 24 hours of their receipt by the customer and if required by Pony and Carriage Ltd such complaint shall be confirmed in writing within 3 days of such notification. 5.3 Any complaint of alleged defect in the goods shall be notified to Pony and Carriage Ltd within 7 days of delivery, or in the case of any alleged defect not reasonably apparent upon delivery, then within 7 days of the date upon which the defect actually did come to the notice of the customer, or might reasonably have been expected to come to his notice, whichever is the sooner. 5.4 In respect of any complaint under this condition Pony and Carriage Ltd shall be afforded reasonable facilities to investigate the complaint either by inspection of the goods at the place of delivery or by requiring the customer to return a sample of goods complained of to Pony and Carriage Ltd forthwith on request. 5.5 No complaint under the terms of these Conditions of Sale can be considered unless clear proof is furnished to Pony and Carriage Ltd that the goods alleged to be unsatisfactory were the goods supplied by Pony and Carriage Ltd and that they were subsequently grown carefully and correctly throughout and subject only to such conditions as were likely to produce a favorable crop. 5.6 It is a condition precedent to any liability of Pony and Carriage Ltd that the customer shall fully comply with the provisions of this condition 5.0. 6.1 Any warranties or conditions whether express or implied as to quality of equipment supplied or fitness for purpose supplied or productivity or freedom from pests or disease are expressly excluded. 6.2 The health and growth of equipment is affected by many matters and Pony and Carriage Ltd shall not be liable for any consequences of any technical information recommendations statements or advice given by Pony and Carriage Ltd or its staff or agents. 6.3 Where the customer deals as consumer within section 12 of the Unfair Contract Terms Act 1977 the terms set out in section 12, 14 and 15 of the Sale of Goods Act 1979 are implied into the contract. 6.4 Pony and Carriage Ltd shall at its option replace with similar goods any goods which do not comply with the contract, or allow the customer credit for the invoice value of the goods, or to the extent that the goods are not of Pony and Carriage Ltd processing or growth, assign to the customer (so far as Pony and Carriage Ltd is able) any warranties given by the grower or processor of the goods to Pony and Carriage Ltd.
6.5 Where Pony and Carriage Ltd is liable in accordance with this condition in respect of only some or part of the goods the contract shall remain in force and effect in respect of the other part or parts of the goods and no set-off or other claim shall be made by the customer against or in respect of such other part or parts of goods. 6.6 In no circumstance (save provide for in 6.7) shall the liability of Pony and Carriage Ltd to the customer exceed the invoice value of the goods. Pony and Carriage Ltd shall not be liable in any manner for any consequential loss however caused which may arise at or in connection with the sale of clothing under this contract. 6.7 Notwithstanding any other provision hereof no liability of Pony and Carriage Ltd for death or personal injury resulting from Pony and Carriage Ltd negligence is hereby excluded or limited. 7.0 FORCE MAJEURE Pony and Carriage Ltd shall not be responsible for delay in delivery or non-delivery of the goods or any part thereof occasioned by Act of God, action riot or civil commotion, breakdown of machinery, power failure, fire, failure of crop growth by Pony and Carriage Ltd or on its behalf, loss and or detention at sea or any other contingency beyond its control. Should any of the goods be rendered unfit for delivery by reason of any of the above acts or events, the contract shall be deemed to be discharged. 8.1 “the customer" means the purchaser placing the order and entering into the contract with Pony and Carriage Ltd.
8.2 "the goods" means the equipment or other goods, which are the subject of the contract.